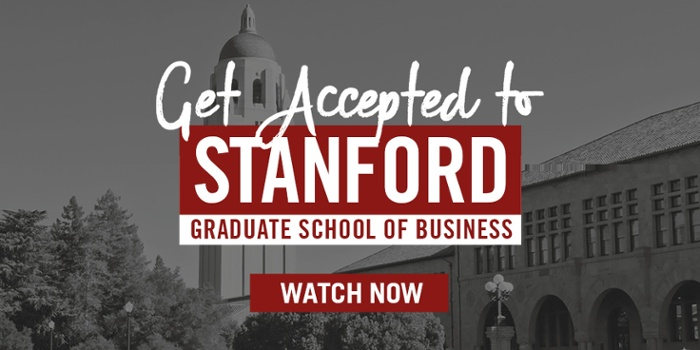 Do you have the smarts that Stanford GSB is looking for? What are the qualities that Stanford GSB is looking for as they build their class? How do successful applicants stand out from the crowd? At a school as competitive as Stanford, it’s a fact that many smart, accomplished applicants won’t get in—so how can you demonstrate that you have that “it” factor? Let us walk you through Stanford’s evaluation criteria and give you some advice. • They nurture and refine their raw intellect to make it a powerful force that draws them to explore new and challenging territory; to question and probe. They turn it into energy (something vital, as in – yes – vitality). Now that’s attitude! (Attitude being part of intellectual vitality, per the website.) No wonder Stanford wants it. Let’s parse it further. Here are 5 key components (separated for discussion purposes only, as they’re interconnected). When you encounter a new or challenging idea, you’re tantalized. You have to find out more. What does it really mean? Where did it come from? And how, and why? You relish ideas for their inherent meaning and for their potential implications; they’re alive to you. You value them as a new lens to see through. You’re always mentally comparing and contrasting, probing limits and boundaries, seeing overlaps between disparate points and differences between similar ones. To you, an event is not static, but rather part of a continuum, with a history to explore and future ramifications to consider. You never take things at face value! 4. The reasons behind what you believe and what you do. Back to ideas – they animate you. Whether you’re politically conservative, moderate, or liberal, you’re not that way because your family or friends are, but because you’re interested in and think about the issues – from multiple angles – and come to certain conclusions. Your thought process informs your decisions, beliefs, actions. 5. Open, as in unafraid. So, you have your beliefs, your ideas. But you don’t hide behind them. You welcome them being challenged – it’s actually… fun. Intellectual fun. And you challenge back, thoughtfully. You’re a skillful devil’s advocate, able to argue from multiple perspectives, even ones you personally disagree with. You relish discerning what drives and underlies opposing ideas and beliefs (there’s that curiosity again). Hopefully the above points make clear that intellectual vitality is not something ponderous – it’s a thrill! Yes, it engages matters of seriousness and gravity. But it’s fundamentally invigorating. It fuels you. And it scintillates others. Now, how do you let Stanford know you have it? The application essays are the perfect venue for showcasing this quality – integrate it into anecdotes, details, and reflections. If you are invited to interview, that’s an ideal place to demonstrate intellectual vitality.